2019 Honda Ridgeline RTL FWD 3.5L V6 SOHC i-VTEC 24V Black w/Leather Seat Trim, Automatic temperature control, Bluetooth® Hands-Free Link, Exterior Parking Camera Rear, Fully automatic headlights, Heated front seats, Power moonroof, Power passenger seat, Radio: AM/FM/MP3, Traction control, Wheels: 18" Exclusive Machine-Finished Alloy. Discover the difference. Experience the value. Honda of Lincoln. 2019 Honda Ridgeline Sport AWD 3.5L V6 SOHC i-VTEC 24V Black w/Cloth Seat Trim, Automatic temperature control, Bluetooth® Hands-Free Link, Exterior Parking Camera Rear, Fully automatic headlights, Illuminated entry, Low tire pressure warning, Radio: AM/FM/MP3, Steering wheel mounted audio controls, Wheels: 18" Gray-Painted Alloy. Discover the difference. Experience the value. Honda of Lincoln. 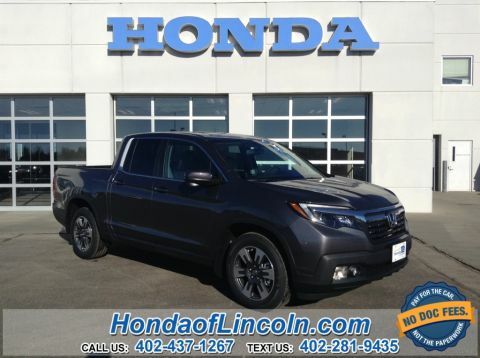 2019 Honda Ridgeline Sport AWD 3.5L V6 SOHC i-VTEC 24V Black w/Cloth Seat Trim, Automatic temperature control, Bluetooth® Hands-Free Link, Exterior Parking Camera Rear, Fully automatic headlights, Garage door transmitter: HomeLink, Radio data system, Steering wheel mounted audio controls, Traction control, Wheels: 18" Gray-Painted Alloy. Discover the difference. Experience the value. Honda of Lincoln. 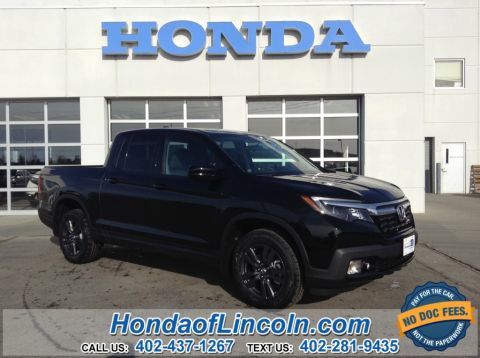 2019 Honda Ridgeline Sport AWD 3.5L V6 SOHC i-VTEC 24V Black w/Cloth Seat Trim, Alloy wheels, Automatic temperature control, Bluetooth® Hands-Free Link, Exterior Parking Camera Rear, Fully automatic headlights, Garage door transmitter: HomeLink, Radio data system, Steering wheel mounted audio controls, Traction control. Discover the difference. Experience the value. Honda of Lincoln. 2019 Honda Ridgeline Sport AWD 3.5L V6 SOHC i-VTEC 24V Black w/Cloth Seat Trim, Alloy wheels, Automatic temperature control, Bluetooth® Hands-Free Link, Exterior Parking Camera Rear, Fully automatic headlights, Garage door transmitter: HomeLink, Low tire pressure warning, Radio: AM/FM/MP3, Steering wheel mounted audio controls. Discover the difference. Experience the value. Honda of Lincoln. 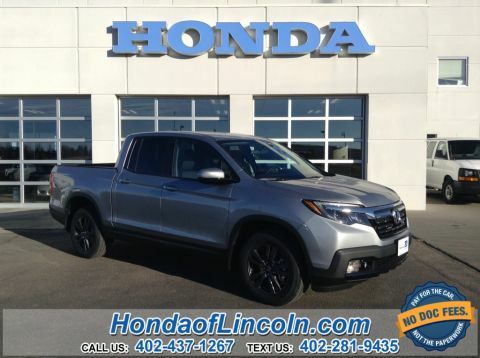 2019 Honda Ridgeline RTL AWD 3.5L V6 SOHC i-VTEC 24V Gray w/Leather Seat Trim, Alloy wheels, Automatic temperature control, Bluetooth® Hands-Free Link, Exterior Parking Camera Rear, Fully automatic headlights, Heated front seats, Power driver seat, Power moonroof, Power passenger seat, Radio data system, Steering wheel mounted audio controls, Traction control. Discover the difference. Experience the value. Honda of Lincoln. 2019 Honda Ridgeline RTL-T FWD 3.5L V6 SOHC i-VTEC 24V Gray w/Leather Seat Trim, Bluetooth® Hands-Free Link, Exterior Parking Camera Rear, Fully automatic headlights, Heated front seats, Honda Satellite-Linked Navigation System, Power moonroof, Power passenger seat, Radio: AM/FM/MP3 w/Navigation System, SiriusXM Radio, Traction control, Wheels: 18" Exclusive Machine-Finished Alloy. Discover the difference. Experience the value. Honda of Lincoln. 2019 Honda Ridgeline RTL-T FWD 3.5L V6 SOHC i-VTEC 24V Black w/Leather Seat Trim, Automatic temperature control, Bluetooth® Hands-Free Link, Exterior Parking Camera Rear, Fully automatic headlights, Heated front seats, Honda Satellite-Linked Navigation System, Power moonroof, Power passenger seat, Radio: AM/FM/MP3 w/Navigation System, SiriusXM Radio, Steering wheel mounted audio controls, Wheels: 18" Exclusive Machine-Finished Alloy. Discover the difference. Experience the value. Honda of Lincoln. 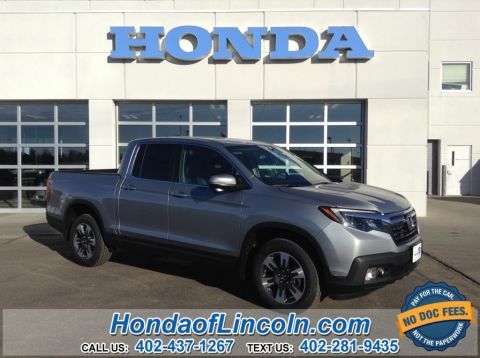 2019 Honda Ridgeline RTL-T AWD 3.5L V6 SOHC i-VTEC 24V Gray w/Leather Seat Trim, Alloy wheels, Automatic temperature control, Bluetooth® Hands-Free Link, Exterior Parking Camera Rear, Fully automatic headlights, Heated front seats, Honda Satellite-Linked Navigation System, Power driver seat, Power moonroof, Power passenger seat, SiriusXM Radio, Steering wheel mounted audio controls. Discover the difference. Experience the value. Honda of Lincoln. 2019 Honda Ridgeline RTL-T AWD 3.5L V6 SOHC i-VTEC 24V Black w/Leather Seat Trim, Alloy wheels, Bluetooth® Hands-Free Link, Exterior Parking Camera Rear, Garage door transmitter: HomeLink, Heated front seats, Honda Satellite-Linked Navigation System, Power driver seat, Power moonroof, Power passenger seat, Radio: AM/FM/MP3 w/Navigation System, SiriusXM Radio, Steering wheel mounted audio controls. Discover the difference. Experience the value. Honda of Lincoln. 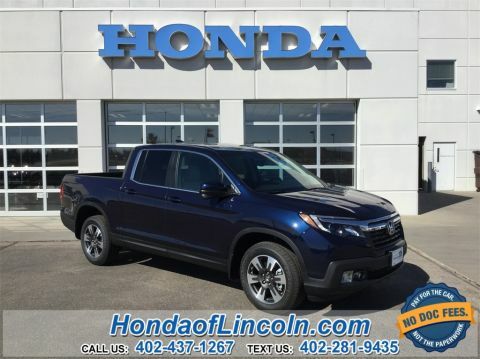 2019 Honda Ridgeline RTL-T AWD 3.5L V6 SOHC i-VTEC 24V Black w/Leather Seat Trim, Alloy wheels, Automatic temperature control, Bluetooth® Hands-Free Link, Exterior Parking Camera Rear, Fully automatic headlights, Garage door transmitter: HomeLink, Heated front seats, Honda Satellite-Linked Navigation System, Power moonroof, Power passenger seat, Radio: AM/FM/MP3 w/Navigation System, SiriusXM Radio, Steering wheel mounted audio controls, Traction control. Discover the difference. Experience the value. Honda of Lincoln. 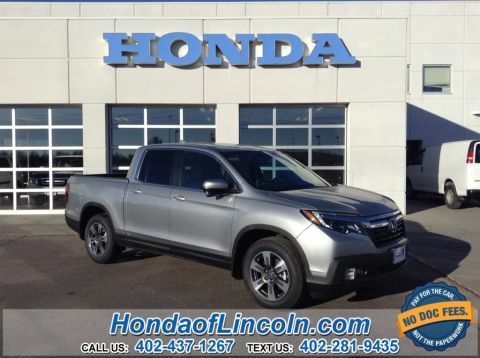 2019 Honda Ridgeline RTL-T AWD 3.5L V6 SOHC i-VTEC 24V Gray w/Leather Seat Trim, Alloy wheels, Automatic temperature control, Bluetooth® Hands-Free Link, Exterior Parking Camera Rear, Fully automatic headlights, Heated front seats, Honda Satellite-Linked Navigation System, Navigation system: Honda Satellite-Linked Navigation System, Power driver seat, Power moonroof, Power passenger seat, Radio: AM/FM/MP3 w/Navigation System, SiriusXM Radio. Discover the difference. Experience the value. Honda of Lincoln. 2019 Honda Ridgeline RTL-T AWD 3.5L V6 SOHC i-VTEC 24V Black w/Leather Seat Trim, Alloy wheels, Bluetooth® Hands-Free Link, Exterior Parking Camera Rear, Fully automatic headlights, Heated Front Bucket Seats, Honda Satellite-Linked Navigation System, Power moonroof, Power passenger seat, Radio: AM/FM/MP3 w/Navigation System, SiriusXM Radio, Steering wheel mounted audio controls, Traction control. Discover the difference. Experience the value. Honda of Lincoln. 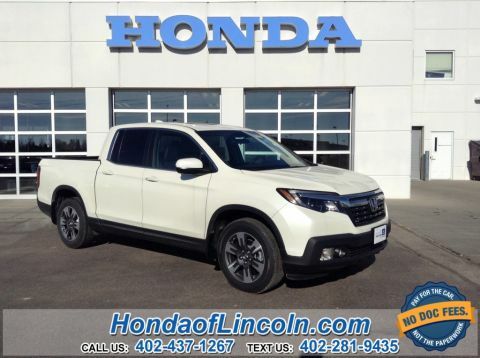 2019 Honda Ridgeline RTL-T AWD 3.5L V6 SOHC i-VTEC 24V Beige w/Leather Seat Trim, Alloy wheels, Bluetooth® Hands-Free Link, Exterior Parking Camera Rear, Heated front seats, Honda Satellite-Linked Navigation System, Power driver seat, Power moonroof, Power passenger seat, Radio: AM/FM/MP3 w/Navigation System, SiriusXM Radio, Traction control. Discover the difference. Experience the value. Honda of Lincoln. 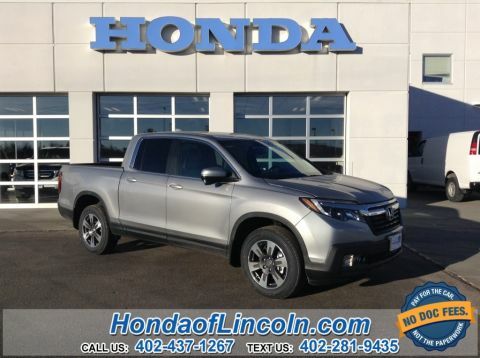 2019 Honda Ridgeline RTL-T AWD 3.5L V6 SOHC i-VTEC 24V Gray w/Leather Seat Trim, Alloy wheels, Automatic temperature control, Bluetooth® Hands-Free Link, Exterior Parking Camera Rear, Heated front seats, Honda Satellite-Linked Navigation System, Power moonroof, Power passenger seat, Radio: AM/FM/MP3 w/Navigation System, SiriusXM Radio, Steering wheel mounted audio controls. Discover the difference. Experience the value. Honda of Lincoln. 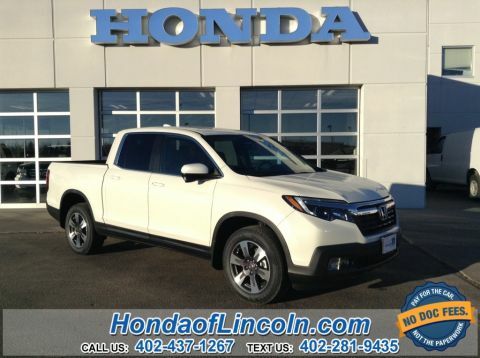 2019 Honda Ridgeline RTL-T AWD 3.5L V6 SOHC i-VTEC 24V Beige w/Leather Seat Trim, Alloy wheels, Bluetooth® Hands-Free Link, Exterior Parking Camera Rear, Garage door transmitter: HomeLink, Heated front seats, Honda Satellite-Linked Navigation System, Low tire pressure warning, Power driver seat, Power moonroof, Power passenger seat, Radio: AM/FM/MP3 w/Navigation System, SiriusXM Radio, Steering wheel mounted audio controls, Traction control. Discover the difference. Experience the value. Honda of Lincoln. 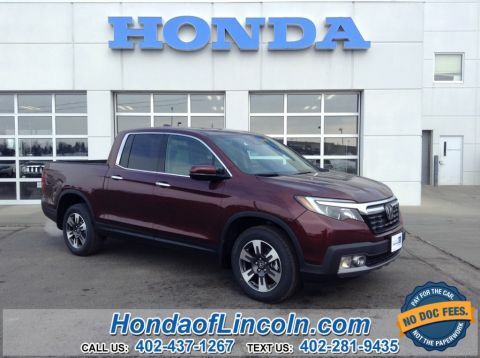 2019 Honda Ridgeline RTL-T AWD 3.5L V6 SOHC i-VTEC 24V beige Leather. 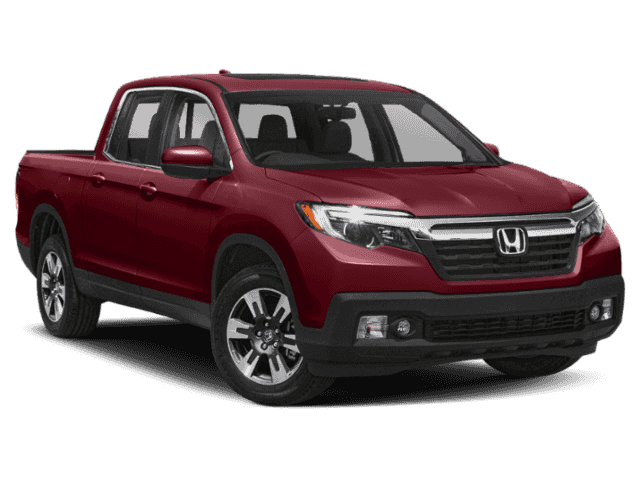 2019 Honda Ridgeline RTL-E AWD 3.5L V6 SOHC i-VTEC 24V Black w/Leather Seat Trim, Blind spot sensor: Blind Spot Information (BSI) System warning, Bluetooth® Hands-Free Link, Distance pacing cruise control: Adaptive Cruise Control (ACC), Exterior Parking Camera Rear, Fully automatic headlights, Garage door transmitter: HomeLink, Heated front seats, Heated steering wheel, Honda Satellite-Linked Navigation System, Memory seat, Power driver seat, Power moonroof, Power passenger seat, Radio: AM/FM/MP3 w/Nav System & Truck-Bed Audio, SiriusXM Radio, Steering wheel mounted audio controls, Wheels: 18" Exclusive Machine-Finished Alloy. Discover the difference. Experience the value. Honda of Lincoln. 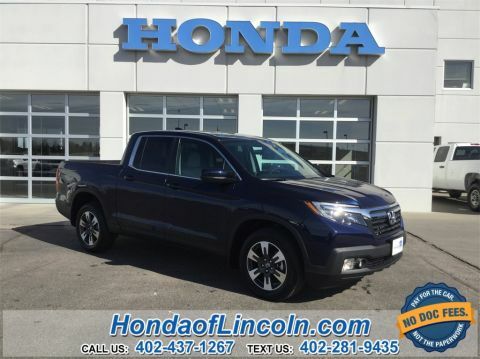 2019 Honda Ridgeline RTL-E AWD 3.5L V6 SOHC i-VTEC 24V Black w/Leather Seat Trim, Automatic temperature control, Blind spot sensor: Blind Spot Information (BSI) System warning, Bluetooth® Hands-Free Link, Distance pacing cruise control: Adaptive Cruise Control (ACC), Exterior Parking Camera Rear, Fully automatic headlights, Heated front seats, Honda Satellite-Linked Navigation System, Memory seat, Power driver seat, Power moonroof, Power passenger seat, Radio: AM/FM/MP3 w/Nav System & Truck-Bed Audio, SiriusXM Radio, Steering wheel mounted audio controls, Wheels: 18" Exclusive Machine-Finished Alloy. Discover the difference. Experience the value. Honda of Lincoln. 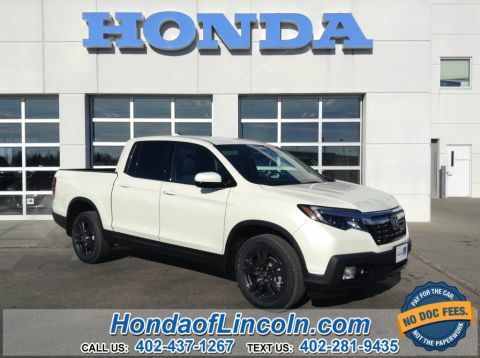 2019 Honda Ridgeline RTL-E AWD 3.5L V6 SOHC i-VTEC 24V Beige w/Leather Seat Trim, Automatic temperature control, Blind spot sensor: Blind Spot Information (BSI) System warning, Bluetooth® Hands-Free Link, Distance pacing cruise control: Adaptive Cruise Control (ACC), Exterior Parking Camera Rear, Fully automatic headlights, Heated front seats, Heated steering wheel, Honda Satellite-Linked Navigation System, Memory seat, Power driver seat, Power moonroof, Power passenger seat, Radio: AM/FM/MP3 w/Nav System & Truck-Bed Audio, SiriusXM Radio, Wheels: 18" Exclusive Machine-Finished Alloy. Discover the difference. Experience the value. Honda of Lincoln.